"Event In A Tent" Bridge of Don, Aberdeen 19.8.95. 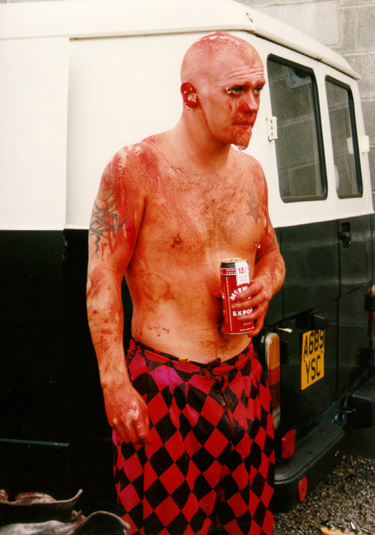 God, back in the van, covered in fake blood, and only McEwans Export to drink. Still, it was free. Photo by Pam.